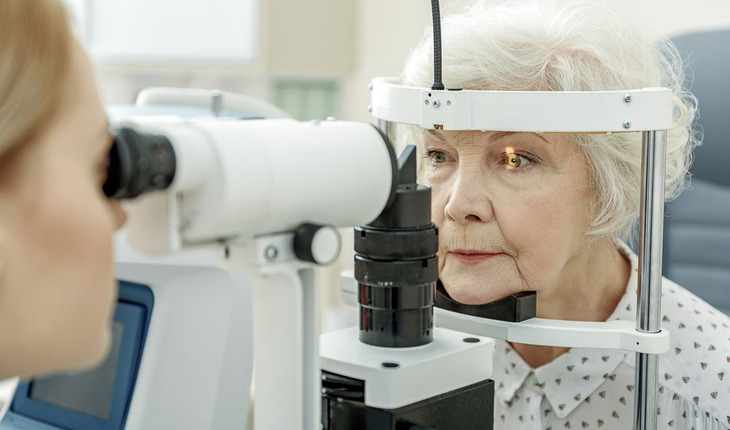 Age-related macular degeneration (AMD), which is characterized blood vessel growth, is the primary cause of blindness in the elderly in industrialized countries. The prevalence of the disease is projected to increase 50% by the year 2020. There is an urgent need for new pharmacological interventions for the treatment and prevention of AMD. Researchers from Massachusetts Eye and Ear/Schepens Eye Research Institute, Harvard Medical School, and other institutions have demonstrated for the first time that the omega (ω)-3 long-chain polyunsaturated fatty acids (LCPUFAs), DHA and EPA, and their specific bioactive products derived from the cytochrome P450 (CYP) pathway, can influence choroidal neovascularization (CNV) and vascular leakage by modulating micro-environmental immune cell recruitment to the site of these lesions. Their findings were published in PNAS Online Early Edition the week of June 16th to 20th 2014. A release from Mass Eye and Ear quotes senior author Kip Connor Ph.D. as saying, “These are the first results showing that omega (ω)-3 LCPUFAs and their CYP derived metabolites can regulate choroidal angiogenesis in vivo. The fact that this can be accomplished with physiologically relevant naturally occurring lipid metabolites is of significant clinical interest as these molecules are readily available and considered to be safe. Our findings not only show promising therapeutic potential for resolution of neovascular AMD, but also for other conditions or diseases that involve pathologic angiogenesis and inflammation.” Dr. Connor is an Assistant Professor in Ophthalmology at Harvard Medical School. The omega (ω)-3 and ω-6 long-chain polyunsaturated fatty acids (LCPUFAs) are two classes of dietary lipids that are essential fatty acids and have opposing physiological effects. To evaluate the effect of LCPUFAs on CNV development, researchers fed mice one of three experimental diets beginning two weeks before CNV induction by laser photocoagulation. The experimental diets were enriched with either ω-3 or ω-6 LCPUFAs, or in the case of the control diet, devoid of the primary ω-3 or ω-6 LCPUFAs. The lesion size and vascular leakage were significantly smaller in animals fed with ω-3 LCPUFAs. To gain mechanistic insight into the effect of dietary ω-3 LCPUFAs on CNV regression, researchers analyzed the lipid profiles of these mice and identified endogenous CYP-generated metabolites. Specifically, 17,18-EEQ and 19,20-EDP, derived from the CYP-pathway were identified by liquid chromatography- mass spectrometry (LC–MS/MS) and found to confer protection. Systemic immune-cell recruitment and adhesion-molecule regulation were significantly dampened in mice receiving ω-3s, thereby suppressing inflammation that is thought to exacerbate this disease. These findings provide a unique mechanism whereby specific CYP derived lipid metabolites regulate angiogenesis in a mouse model of AMD,” said lead author Ryoji Yanai, M.D., Ph.D. The researchers demonstrated that dietary supplementation of omega (ω)-3 long-chain polyunsaturated fatty acids (LCPUFAs) mediates choroidal neovessel regression in a well-characterized murine model of neovascular AMD. The cytochrome P450 (CYP) enzymes catalyze the epoxidation of these ω-3 LCPUFAs to form the eicosanoids 17,18-epoxyeicosatetraenoic acid (EEQ) and 19,20-epoxydocosapentaenoic acid (EDP), which were identified as key lipid mediators of disease resolution. Their findings show promising therapeutic potential in AMD disease resolution. “Given the prevalence of neovascular eye disease, the potential impact of this study is highly significant. We have identified unique endogenous lipid biometabolites that are able to inhibit pathologic retinal angiogenesis, a major driver of vision loss worldwide. It is our hope that future studies will allow us to develop specific therapeutics that harness this knowledge resulting in a greater visual outcome and quality of life for patients suffering from these sight threatening diseases,” Dr. Connor said.